Survive day-to-day life and make enough money for food and housing in the brand new life-management simulation Crap I'm Broke Out of Pocket. 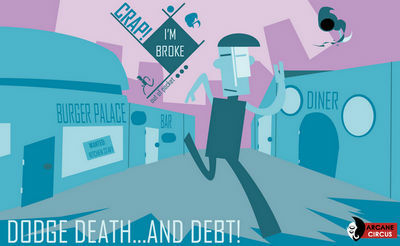 Developed by Arcane Circus, the game is a fun take on life in an economy-fuelled society. You play as a guy who's just trying to get by, living pay check-to-pay check, and hoping to spare enough money to eat. Crap! I'm Broke Out of Pocket turns mundane tasks into smaller playable experiences. 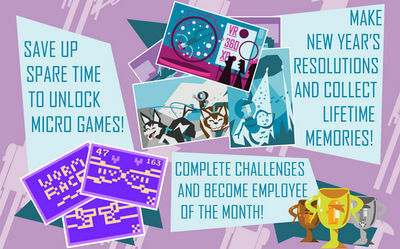 The game consists of multiple mini-game style jobs and a secret task to unlock, the ability to buy perks and unlock new jobs, and even meta micro-games. Work as dishwasher, human statue, bouncer, etc and subsist in this cruel world.